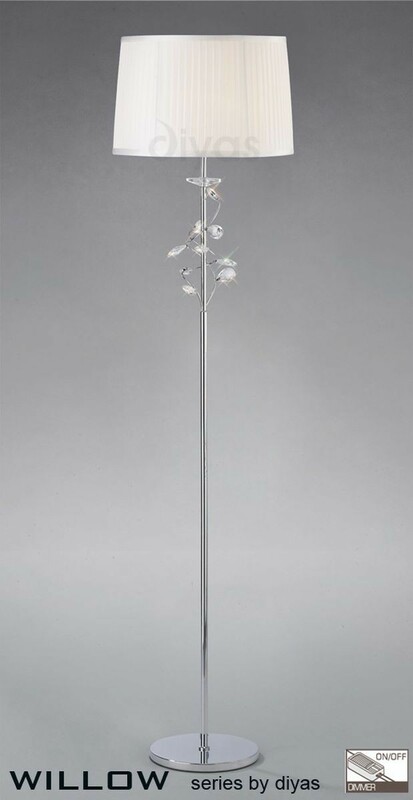 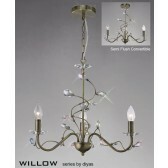 Named after the inspiration of its design, Willow reflects the organic elements of twining branches and leaves with its winding metal framework and tear drop crystals. 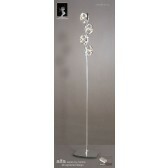 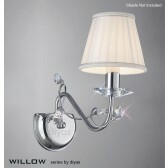 Each lampholder is further enhanced with an elegant crystal sconce. 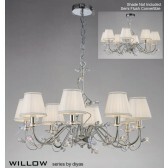 The pendants can easily be converted to a semi ceiling version making it suitable for almost any application. 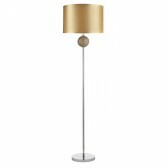 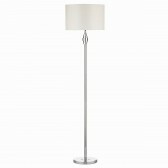 The comprehensive range of various size pendants with complimenting table, floor and wall lamps is available in Polished Chrome and Antique Brass. 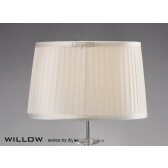 Perfectly complimenting shades are also available for the whole range in a White or Cream option. 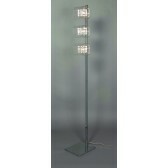 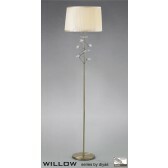 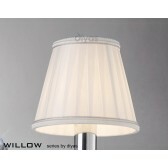 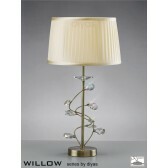 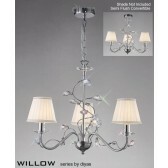 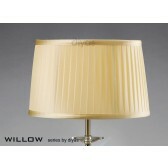 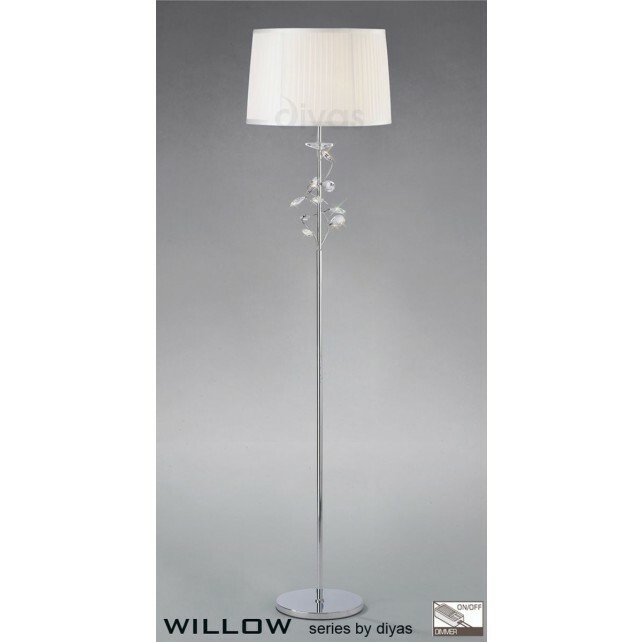 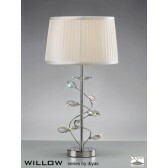 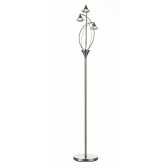 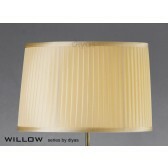 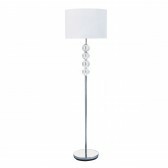 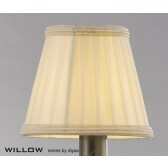 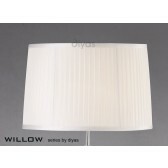 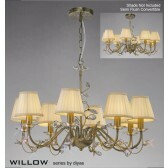 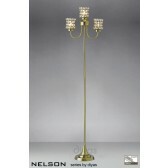 The shades are ideal for reducing glare from lamps or simply to cover the opal nature of energy saving lamps. 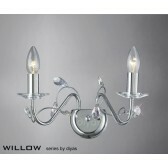 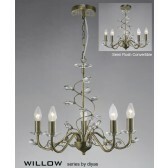 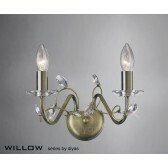 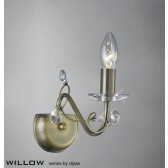 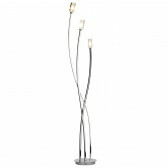 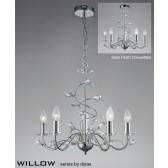 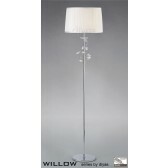 The full range is supplied without lamps which simply increases the versatility of this range.